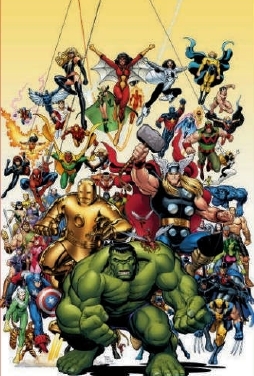 While fans are all getting excited with the coming of the most anticipated comic book movie of 2012, Marvel Comics released a new artwork featuring the heroes. See artwork after the jump. Cap's costume could be weird on some cases but I guess it is starting to grow on me. The Hulk don't look like a monster on this artwork which is for me I'm not sure if that is a good thing. Now we also have a better look of Iron Man's new armor which is now a combination of silver, gold and red. Again it doesn't completely departs from the original design from the previous IM movie but it still managed to be new and badass. Lastly we know have the liberty to see Fury without his trench coat on and showing those signature holsters SHIELD agents wore. 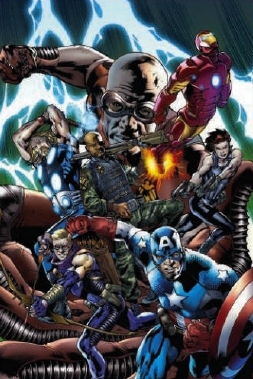 This art is a mockup cover for upcoming comic book releases called Road to The Avengers collection for the anticipation of The Avengers movie. So I guess Marvel will be throwing a lot of Avengers related comics in coming months until we finally see the movie next year. So whether you are a comic book geek or just somebody who wants to catch up because of the movies, don't worry because Marvel got you covered. 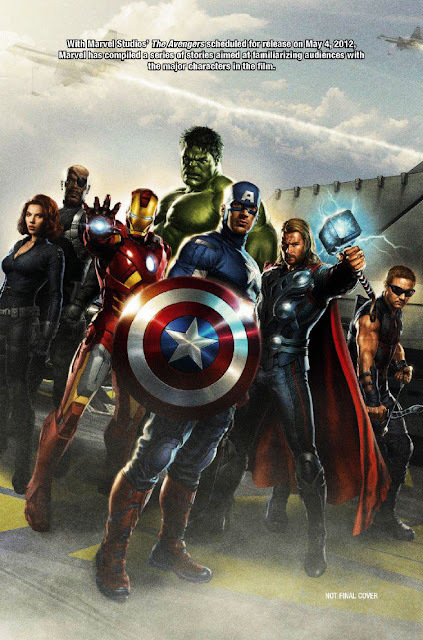 Directed by Joss Whedon, starring Robert Downey Jr., Chris Hemsworth, Chris Evans, Jeremy Renner, Mark Ruffalo, Scarlett Johansson, Clark Gregg, Samuel L. Jackson, Cobie Smulders, Tom Hiddleston and Stellan Skarsgård. The movie hits theaters on May 4, 2012 from Marvel Studio, distributed by Walt Disney Studios Motion Pictures International through Columbia Pictures.